VIDEO DESCRIPTION: Join us on a leisurely drive through the National Bison Range Wildlife Refuge, 46 miles from Missoula, Montana. We saw bear, Big Horn Sheep and American Bison in their natural setting in beautiful western Montana, the Big Sky State. 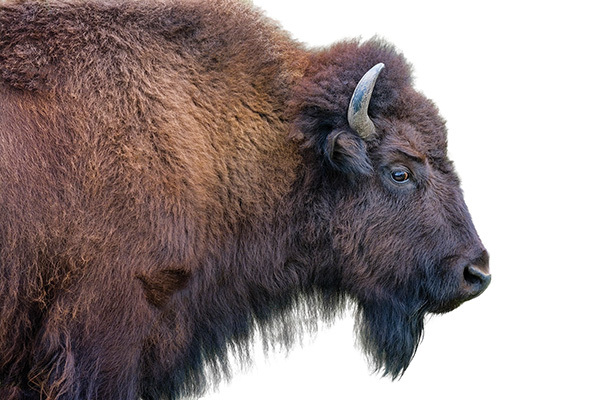 Move over, Bald Eagle, now the bison has become the first official mammal of the United States. Legislation passed the House and Senate in May 2016 and President Obama signed the National Legacy Act into law. Where else can you take a 19-mile loop drive and expect to see bison, elk, white-tailed deer, mule deer, and pronghorn, with a likelihood of bighorn sheep and a possibility of black bear as well? These are the primary animals featured at the National Bison Range, and the experience does not stop there. Over 100,000 visitors travel Red Sleep Mountain Drive to the National Bison Range each year. This one-way road loops over the Range and offers great wildlife viewing while passing through a variety of ecosystems and scenic views of the surrounding mountains and Mission Valley, less than an hour north of Missoula. Beginning on flat grassland, it ascends along a seasonal creek and montane forests of Douglas fir and ponderosa pine, reaching near the summit, and descending again through extensive prairie, finishing along Mission Creek and its riparian environment. Established in 1908 by the Theodore Roosevelt administration, this 18,766-acre parcel is a part of the National Wildlife Refuge System. The perimeter is fenced, which keeps all the large ungulate species contained. The NBR is surrounded by the Flathead Indian Reservation, home of the Confederated Salish and Kootenai Tribes. The loop road is open from early May until mid-October and includes two hiking options. The final three miles along the creek are open year-round. The large mammals are the main attraction. Bison were the original key species (see sidebar on page 34), and remain so. Bulls can be seen at any point along the way, and groups of cows and calves are scattered throughout depending on which area is being grazed at the time. A large bison bull took over the High Point Trail one August afternoon and prevented anyone from hiking to the summit, where one may encounter Bighorn sheep and take in the scenic 360 degree views — the Mission Mountains to the east, the Mission Valley looking north to Flathead Lake, and the Flathead River and Salish Mountains to the west. The diversity of ecosystems accounts for over 200 bird species recorded here. Once while visiting, the dusky grouse refuses to get off the road near the summit; it flew up on the top of our car and scolded us before moving on. Golden eagles and Lewis’ Woodpeckers are seen on the way down the mountain. Numerous grassland nesters frequent the flats, including Meadowlarks, Lazuli Buntings, and Vesper Sparrows. Along Mission Creek, lined with cottonwoods and juniper, we see Great Horned Owls and various waterfowl. Trumpeter Swans have nested the past two years on a pond near the entrance and picnic area. There is a paved trail around the pond. One autumn I walked directly into a rutting bull elk in his day bed here. He arose and began tearing up vegetation with his antlers, behavior I’d encountered twice before in the Yellowstone backcountry. This is a serious warning of aggression, not an expression of mere agitation. I left — quickly. Following the Range’s rules (no walking away from the car except for designated hiking trails) and using common sense assure good outcomes for both visitors and wildlife. Additional ungulates include pronghorn, seen along the prairie sections; mule deer at higher elevations; and white-tailed deer along the creek. All are especially active in the fall, and often nurture their young close to the road in early summer. I suspect they have learned over time that their safety is greater from predators if they are closer to where the visitors are. They’re not tame — just smart. The chief predator is the coyote, and black bears and mountain lions are present as well. One early morning along Pauline Creek I came upon a black bear sow and three cubs. After a minute or so they bolted away up the opposite hillside, while I watched from my portable blind (my vehicle). It took another five minutes or so to notice a large cinnamon bear, presumably a boar, in thick brush only 20 yards from the car, which explained the entire encounter. These animals have a certain comfort level with vehicles, so I rarely get out to use my tripod. Use a beanbag in the car window and turn off the engine for sharp photos. The NBR offers much beyond wildlife viewing. The hills are covered with Arrowleaf Balsamroot in the spring, and Bitterroots are found at the end of the “Bitterroot Trail” in late June. Most of the Range was covered by Glacial Lake Missoula 10,000 years ago. Its shorelines are visible on the north and east facing slopes. In keeping with the mission of the National Wildlife Refuge System, the sole priority is welfare of the wildlife. Six possibilities for public use are left to the discretion of each refuge manager. The NBR permits wildlife viewing and photography, and encourages education and approved research programs. Fishing is permitted in the Jocko River, the southern border of the Range. It is also allowed in portions of Mission Creek. A reservation fishing license is required. Hunting is not permitted. Visit the NBR for a “Distinctly Montana” experience. The refuge phone is 406-644-2211. Information is also found at www.fws.gov/refuge/national_bison_range. Join us on a leisurely drive through the National Bison Range Wildlife Refuge, 46 miles from Missoula, Montana. We saw bear, Big Horn Sheep and American Bison in their natural setting in beautiful western Montana, the Big Sky State. Once the refuge was established, the American Bison Society purchased and donated 36 animals from the Conrad estate in Kalispell, which had obtained them from the Pablo-Allard herd located in the Mission Valley. Four more were added from Texas and Manitoba (via New Hampshire), and all were in place on the NBR by 1910. A dozen additional animals from Kansas, Nebraska, Yellowstone, and a Montana ranch were incorporated into the herd between 1939 and 1984, further enhancing its genetic health. The Range can carry about 350 animals, and they are rotated among eight grazing units. Each fall a bison roundup is held, open to the public. They are assessed for health issues, but there is no routine vaccination program. Surplus animals are donated to tribes and government organizations that want to enhance their own herds. If additional reduction in the NBR herd is needed, animals are auctioned. For example, in 2013, nine bison were given to the Confederated Salish and Kootenai Tribes and two were given to the Blackfeet Nation. Thirty-six were sold to private bidders, for a total of 47 animals taken that year. The majority of the original Pablo-Allard herd was ultimately sold to the Canadian Government over a century ago. Interestingly this is the herd from which several bison were recently transferred to the Blackfeet tribal lands near Browning. The U.S. Government and the Confederated Salish and Kootenai Tribes are in discussions to place the NBR in federal trust ownership with the Tribes. Continued bison conservation and public visitation are anticipated if this indeed comes to fruition.